For Registration Information, please visit the Montgomery College webpage. For non-credit registration, please visit Community Arts at Montgomery College. If classes are full, please email me--we may be able to re-allocate course seats. For Registration Information, please visit the Montgomery College webpage. 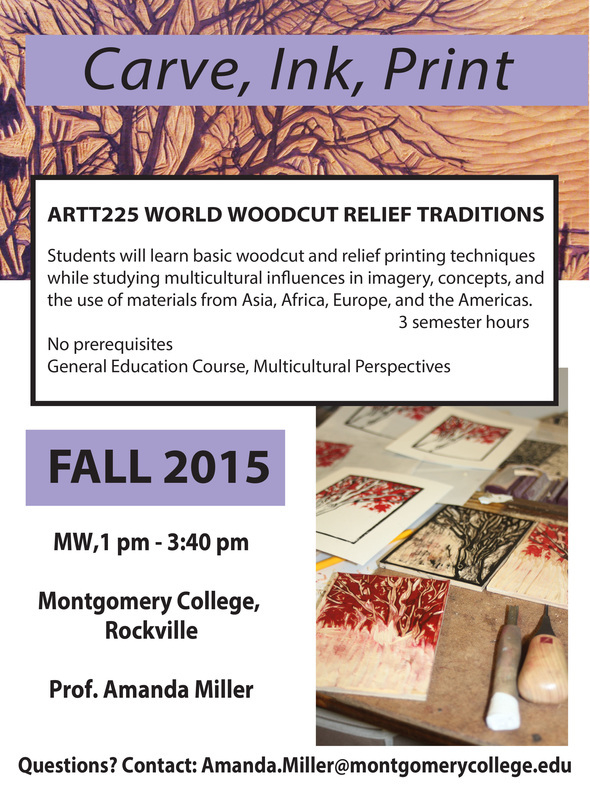 For non-credit registration, please visit Community Arts at Montgomery College. I offer occasional workshops in my studio at the Howard County Center for the Arts, 8510 High Ridge Rd. Ellicott City, MD 21043.